James Saunders (1925-2004) was born in Islington, North London. Educated at Wembley County School and Southampton University, he became a chemistry tutor by day at Davis's, Holland Park (London) and a playwright by night, until devoting all his time to writing. He received an Arts Council playwright's bursary for The Ark in 1960, and became a full-time playwright in 1964. His early plays led him to be considered one of the main British exponents of the Theatre of the Absurd. Later works continued to explore the limits of traditional theatre. In 1984 he was awarded a Major Bursary. Next Time I'll Sing To You ran at the Criterion Theatre 1962-63, winning for him an Evening Standard award for Most Promising Playwright (1963) and since then his plays have enjoyed success both in the West End and with theatre clubs in the UK and abroad. A Scent Of Flowers was staged at the Duke of York's in 1964, The Travails Of Sancho Panza at the National Theatre in 1969, and Bodies at Hampstead and subsequently at the Ambassador's Theatre in 1984. Following its Paris production, Fall won the Molière Award. James Saunders was associated for a number of years with the Questors Theatre in Ealing, but from 1972 on he worked closely with Sam Walters' Orange Tree Theatre in Richmond, Surrey. Both Fall and Bodies were commissioned and first staged by the Orange Tree and in 1991 they presented his adaptation of Vaclav Havel's Redevelopment. 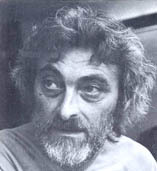 Retreat (1995), his last play, was premiered by the Orange Tree Company in their new theatre. An unofficial and incomplete bibliography covers a period of forty years and includes details of more than 35 plays written for radio, theatre and television. The Harry Ransom Humanities Research Center (HRC) has a partially catalogued collection containing notebooks, playscripts, television and film scripts, miscellaneous notes, correspondence, articles, essays, theses, programs, and reviews covering the period 1952-1992. Resources are provided for those wishing to access them directly or remotely. 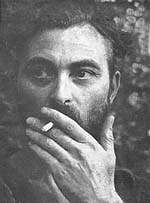 Sixteen of James Saunders' plays are published by Samuel French UK.